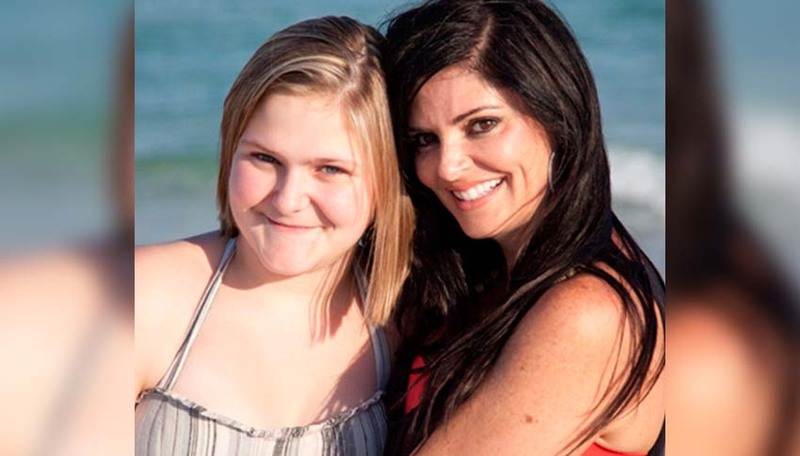 It’s been five years since Big Sister Pamela and Little Sister Skyler have been matched through the Big Brothers Big Sisters of Northwest Florida program. Skyler comes from a family that has struggled financially and her family knew that Skyler needed a positive female to look up to. Soon after Skyler’s enrollment, her grandmother passed away, and at this point Skyler really needed someone who could shed some positive light in her life. Fortunately, Big Sister Pamela was the perfect match for Skyler. Over the years they have shared many lifetime memories, from Skyler’s first time seeing Disney on Ice, to tennis lessons, to playing the violin and everything in-between. One of Skyler’s favorite things that she has done was when Pamela helped her receive a scholarship to a full week at the National Flight Academy at the Pensacola Naval Air Station, which has the world’s largest simulated aircraft carrier. Here, Skyler was able to map out a flight plan and then went down to their simulator to “fly” a plane. This opportunity was a life-changing experience for Skyler, where she learned leadership, critical thinking, teamwork and problem-solving skills that she will have the rest of her life. Little Sister Skyler and Big Sister Pamela often have conversations about grades, boys, the importance of exercise and eating healthy, family and how to be a lady. During these life-changing stages, conversations and adventures, Skyler has progressed into a mature teenage woman. With Pamela’s motivation, Skyler graduated eighth grade with a 4.0 grade point average which helped her qualify for the International Baccalaureate (IB) Program in her community. Here, she was provided with many challenges, including college-level courses and the ability to blend in with private school students who were also enrolled in the program. Skyler realized that the program was just not for her. Her Big Sister helped her through the transition back to her regular school while ensuring that she was still taking honors classes. Thanks to the confidence that Big Sister Pamela has bestowed onto Little Sister Skyler, Skyler is no longer the shy person Big Sister Pamela first met. “Pamela has slowly broken me out of the shell that I used to have encaged around me. However, being matched with such an amazing person who is extremely social with people will break any person out of their shell,” said Little Sister Skyler. One of the first activities that Pamela had Skyler do was to pass out brochures at an auction and this helped push Skyler to interact with people she did not know. Pamela has worked to stay active with her Little Sister. They are big advocates of their local Big Brothers Big Sisters office and they work on many projects together. Pamela also serves as a Board Member for Big Brothers Big Sisters of Northwest Florida. Through their work they have helped raised money in many ways, such as in the promotion of a coupon book through Arby’s and via an awards gala video. Their dedication supports the Big Brothers Big Sisters mission and will help more children like Skyler reach their highest potential in life.